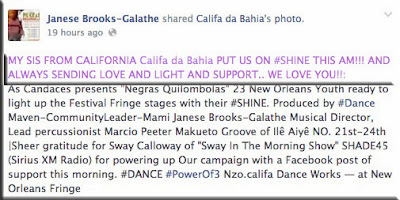 nzoCALIFA Dance Works...: nzo.califa's POWER of 3 campaign gets SWAY motion! 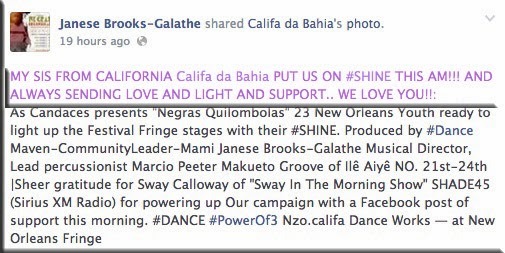 nzo.califa's POWER of 3 campaign gets SWAY motion! 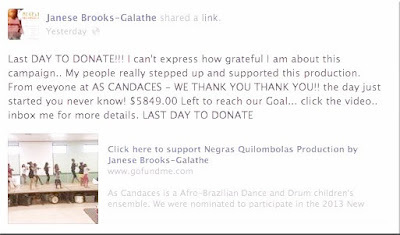 Sheer gratitude for Sway Calloway of "Sway In The Morning Show" SHADE45 (Sirius XM Radio) for powering up Our campaign with a Facebook post of support this morning. #NOLA Teaching-Artist/ Producer wins for 23 Youth in Arts Campaign Success! 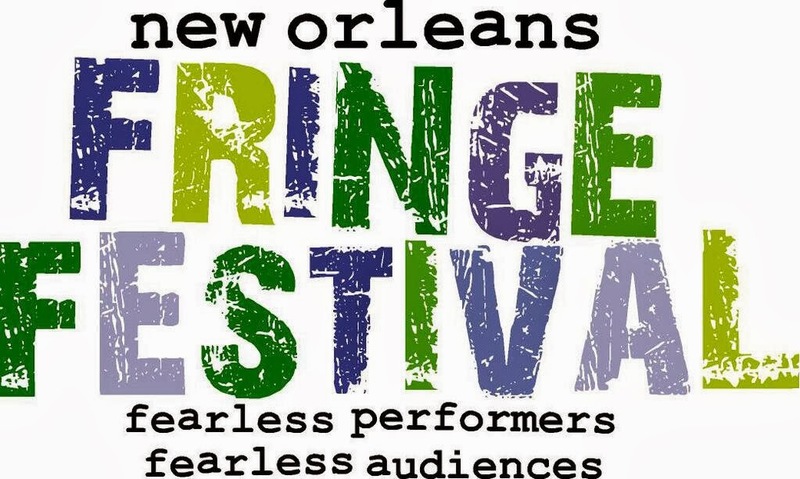 Here's WHY we all support Negras Quimbolas... Boa Sorte Ja'neese and Marcio com muito Axe' and to the 23 Youth on #SHINE at the New Orleans Fringe Festival and Family Fringe Festival 2013.